Red Faction: Guerilla isn’t the type of game that monkeys around with plot and narrative and all that rubbish, which immediately sets it apart from most games we’ve seen lately. Unlike something such as The Path, Red Faction: Guerilla doesn’t have a point to try and drive home in an intelligent manner. It isn’t trying to teach you anything or impart some special message or emotion. 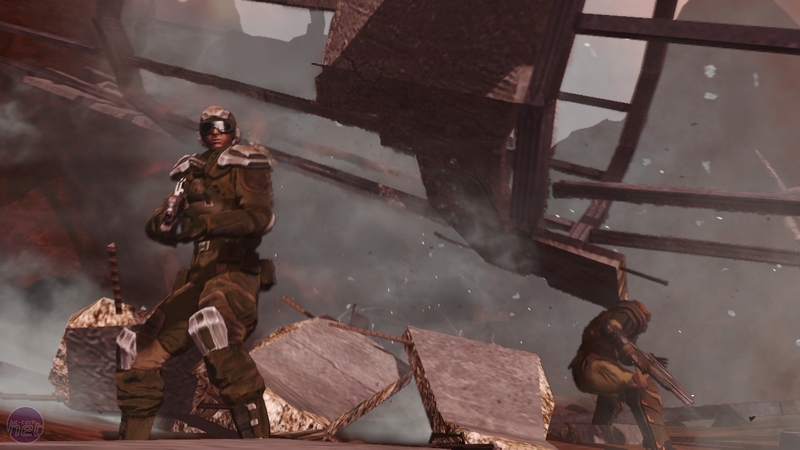 Red Faction: Guerilla is about one thing and one thing only; Explosions. Big ones and lots of them. With that in mind, it’s no surprise that Volition Inc. has chosen to abandon the plot of the unpopular Red Faction 2 and instead elected to follow straight on from the more successful first game, albeit with different characters and a 50 year gap in between. 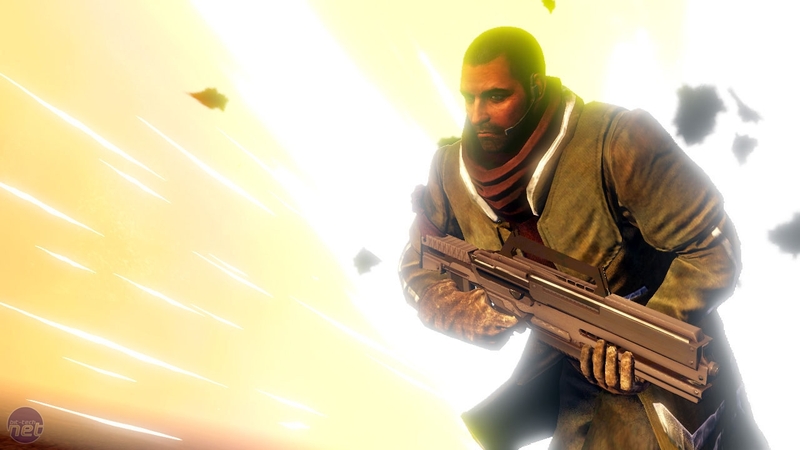 Rather than making it more complicated, the decision to mostly eschew the trappings of Red Faction 2 has greatly streamlined the story for Guerrilla, reducing the plot to only the bare essentials. You are Alec Mason, a disgruntled miner who lives on Mars and is fed up coping with the brutal regime of the Earth Defence Force. Because of this, he has decided to take things into his own hands. Tipped over the edge when his brother is murdered, Alec enlists with the rebellious Red Faction and sets about to starting a civil war. The whole experience is subtly undermined by the knowledge that the situation was cleverly reversed in the first game, which ended with the Red Faction essentially putting the EDF in power and starting all this mess. These things go in cycles, we guess. Toppling a corrupt government is no easy task however, especially for a barely-organised bunch of murderous malcontents like the Red Faction. The only way those hippies stand a chance is if they manage to persuade the greater population of the terraformed red planet to join up and take the fight to the EDF. It’s here that you come in. 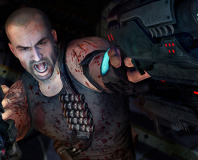 Morale and unrest are the main gauges of success in Red Faction: Guerrilla, with it being Alec’s role to raise the former to cause the latter. Every mission you get sent on has the express purpose of visibly damaging the EDF – forcing them to crack the whip harder on the civilians. 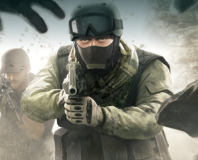 The more the civilians are punished by the EDF and the more they see you taking a stand against them, the more likely they are to sign up with you. Thus, the more buildings you destroy, the more John Publics will enlist with you and the easier your task becomes – though pushing the EDF off Mars is never going to be a stroll in the park. You’ll also want to watch out for accidentally killing civvies or letting them get caught in the crossfire too – that’ll lower morale and turn the population against you. The good news though is that there are precious few boundaries on Mars, so between missions for the Red Faction you can still wander freely over the red planet in all manner of cars, jeeps and trucks. You can plough through pipelines, vault over sand dunes or just run around hitting things with your sledgehammer. The free-roaming aspect of it all is more like Mercenaries than Grand Theft Auto IV, but there are still lots of collectible items and hidden bits and bobs to find across Mars. 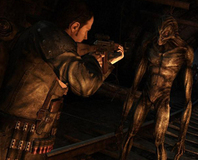 Metro 2033, 4A Games' new game, has been picked up by THQ.